Leadership. Team work. Skill. Co-operation. Courage. 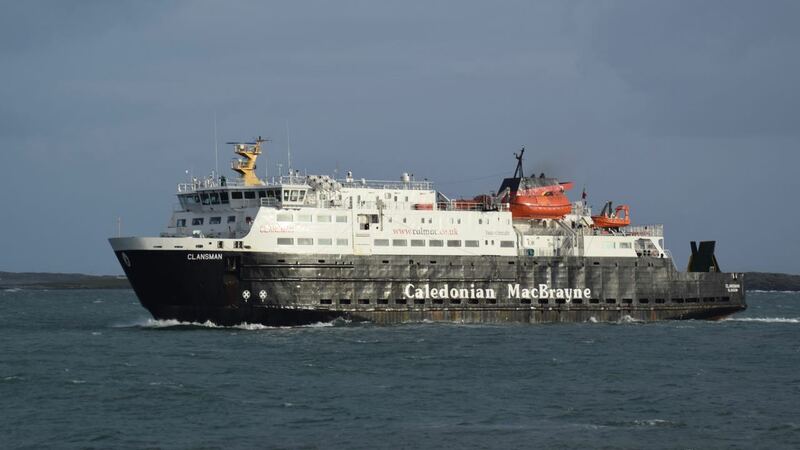 Although there is an advertised sailing for Saturday morning from Oban to Coll and Tiree, today’s ferry may well have been the last to arrive before Christmas day. The weather forecast for Friday and over the weekend is for stormy weather, including the named storm, ‘Barbara’. 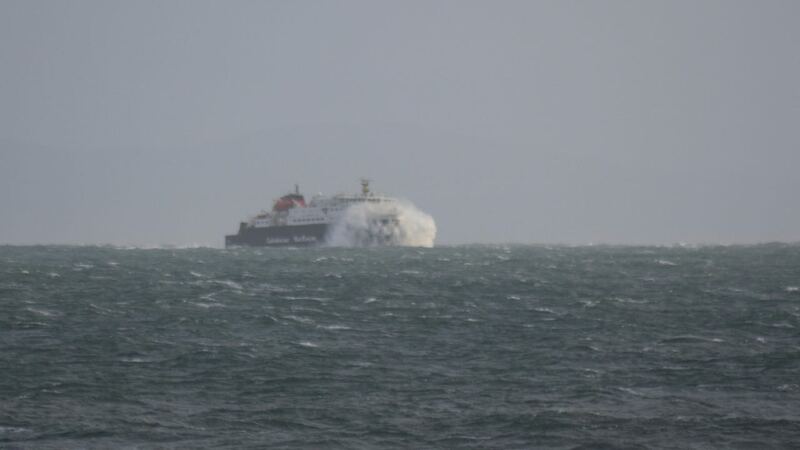 As yet Saturday’s ferry has not been officially cancelled. Many hope that family will be on board, but few have any confidence that the ferry will sail. In galleries mouse-over for captions and double click for larger pictures. The arrival of the MV Clansman at the entrance to Gott Bay was a welcome sight for those seeking to cross over to the Mainland. There was even more relief when the ferry was alongside the pier and the traffic started disembarking. In addition to family and friends coming to the island for Christmas, the ferry brought the all important food supplies. There were several articulated lorry loads, other commercial vehicles, private cars and foot passengers. Everyone had to disembark and board via the car deck. There were several anxious moments due to swell conditions. When the various articulated lorry loads had disembarked the vessel was suddenly more vulnerable and the stern ropes would go from slack to being under considerable strain. The tension was palpable. Under the ever watchful eye from the bridge and those managing the ropes everyone managed to disembark and embark. The Clansman’s paintwork will need touching up. 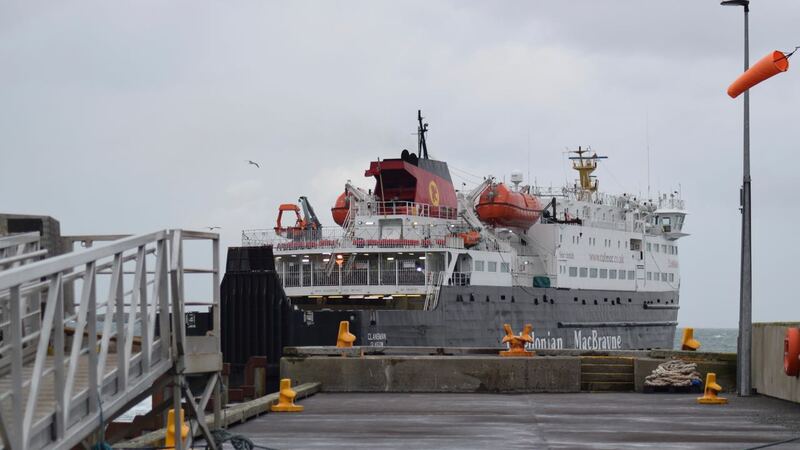 Anticipating the storm both the ferry operator ‘CalMac’ and the Airline ‘Loganair’ have advised those seeking to travel to do so before Friday. Loganair have built in additional capacity to enable would be passengers to change their travel arrangements. In the next 72 hours the island’s electrical supply will be tested , not by the birds in the oven, but by Storm Barbara. Many households are wondering when they should cook the Christmas dinner – on the day or beforehand. Living on island you are conscious how much you depend on others and particularly those who have to work in atrocious weather conditions. 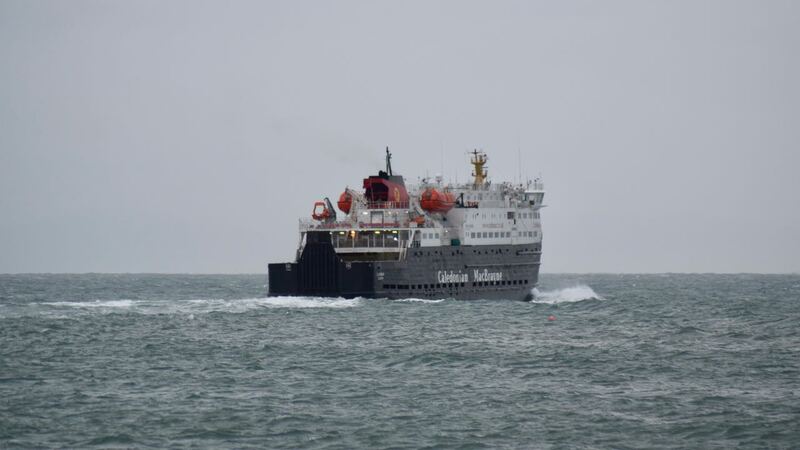 MV Clansman heading directly back to Oban without stopping at Coll.